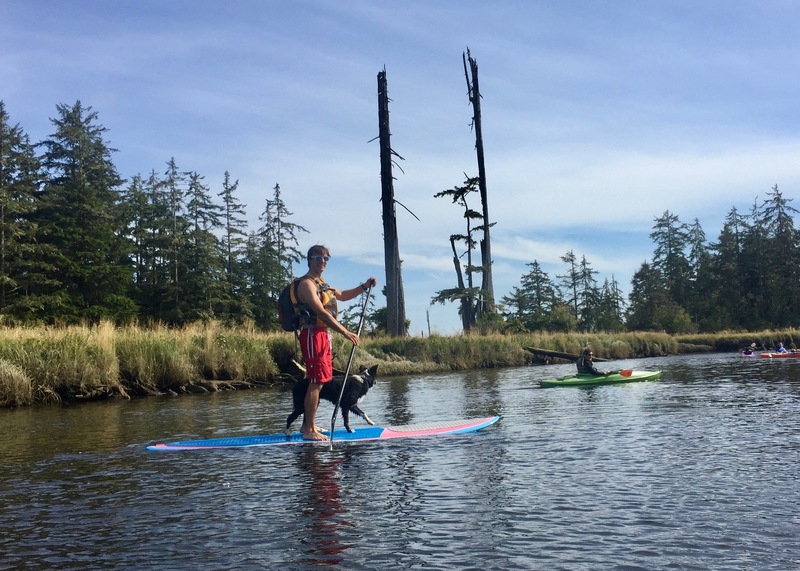 Along the banks of the Copalis River, far from the normal tourist spots around Grays Harbor and the Olympic Peninsula, a small fleet of human powered crafts make their way upstream toward a remarkable and historical destination. 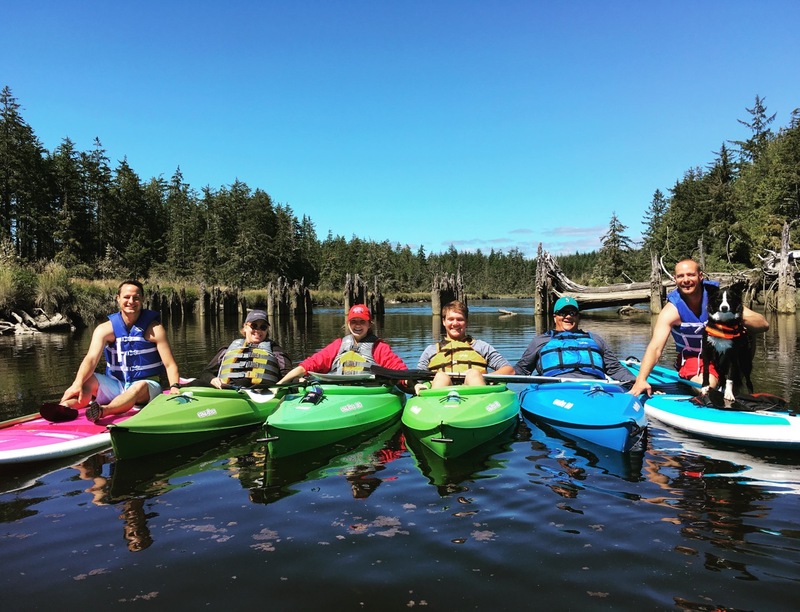 Led by Buck Giles of Seabrook’s Buck’s Bikes, this group of paddlers is a tour group, heading toward an outstanding natural feature called the Ghost Forest. Less than a mile upriver from the bridge crossing the Copalis River on Highway 109, this forest of dead trees is one of Grays Harbors biggest scientific discoveries in recent memory. Now, you can explore this incredible region first hand with tours led by Buck Giles. The Ghost Forest of Copalis has been around since the evening of January 26, 1700, when a magnitude 9.0 earthquake rocked the Washington coast off Grays Harbor. The quake caused the land to instantly drop up to 6 feet in elevation around the region. Occurring on the Cascadia Fault, which stretches from North Vancouver Island all the way to Northern California, the giant quake caused over 622 miles of land to move by an average slip of nearly 70 feet. The 1700 earthquake on the Cascadia Fault, located offshore and under the Pacific Ocean, also caused a tsunami that not only devastated the local areas, but tragically took over 15,000 lives across the Pacific Ocean in Japan. Nothing was known about the tsunami’s origins until Brian Atwater published the paper “The Orphan Tsunami of 1700.” This paper helped describe and prove that what occurred in late January 1700 in Japan was directly related to the Ghost Forest in Copalis, making it the epicenter and focus of the disaster. For generations, the Ghost Forest was a destination not frequented by many, as it was off the beaten path for locals and tourists alike. The area was rarely discussed, leading it to be a secret area known by only a handful of locals. That is, until the origin of the forest was discovered and the region received international attention. Today, largely due to the research of Brian Atwater, we have learned that our coast has the potential to create a powerful tsunami every 300-600 years, helping to build and fund the tsunami warning systems up and down the coast. Buck’s tours to reach the Ghost Forest launch in the middle of Copalis Beach, paddling up the river, leaving developed areas behind. As you enter the wilderness, you round a corner and take in your first glimpse of the Ghost Forest. 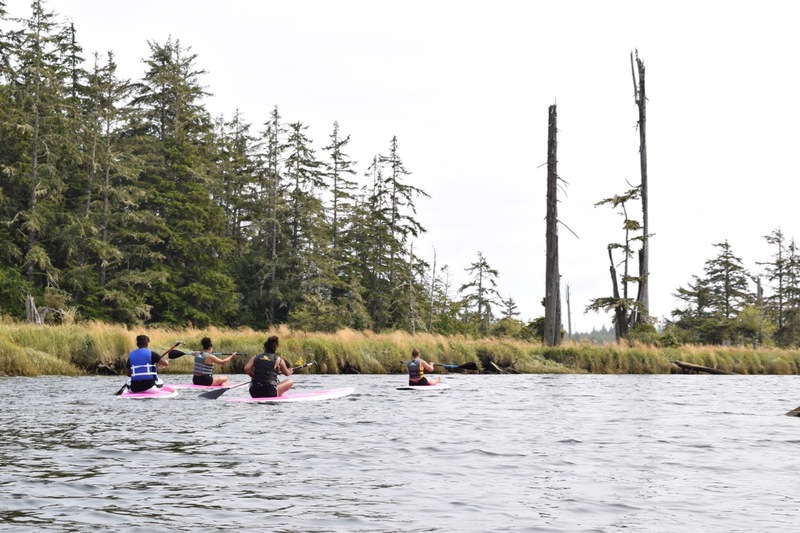 As you continue to paddle, you’ll get a firsthand look at the flooded roots of an old growth forest, where trees remained standing after the destructive power of the ancient tsunami. The forest is incredible and mysterious, giving you a glimpse back over 300 years from your kayak or SUP. Surrounded by new forests and the stand of old growth ghost forest, the beauty of Grays Harbor’s rivers becomes quickly apparent. Take in the sights and hear about the history from Buck, all the while keeping an eye out for the animals that frequent the banks of the Copalis. Standing tall above the Copalis River, the Ghost Forest reminds us of nature’s power. The tours to the Ghost Forest are in a safe, low risk environment and can be reached with minimal effort. Buck tells us that the Copalis River is almost always flat and easy to paddle, so anyone can participate. While SUPs are the main draw, kayaking to this awesome destination is also super easy. The path is removed from noise and urban environment, allowing you a chance to unplug and experience nature first hand, without going to far off the beaten path. The 3 to 3.5-hour full tour is an ideal way to connect with the majesty of the North Beach while seeing the power of nature. All tour members will have choice between paddle board or kayak, depending on your level of comfort. This fun, family-friendly adventure is exactly what the region needs. Booking is simple and straightforward. Online at Buck’s Bikes’ website, you can check availability and choose your vessel type. The best part? If appointments are full, Buck opens another slot that day to help everyone see this incredible destination. Buck Giles is well-informed on the region and history, with his tours being a fun mix of history, education and nature enthusiasm. Growing up near the region, Buck has developed a strong grasp on local history and is constantly trying to learn more about area and the Copalis. With the Ghost Forest tours, he shows off his skills as a passionate guide, a knowledgeable local and an inspiring lover of nature and the region. 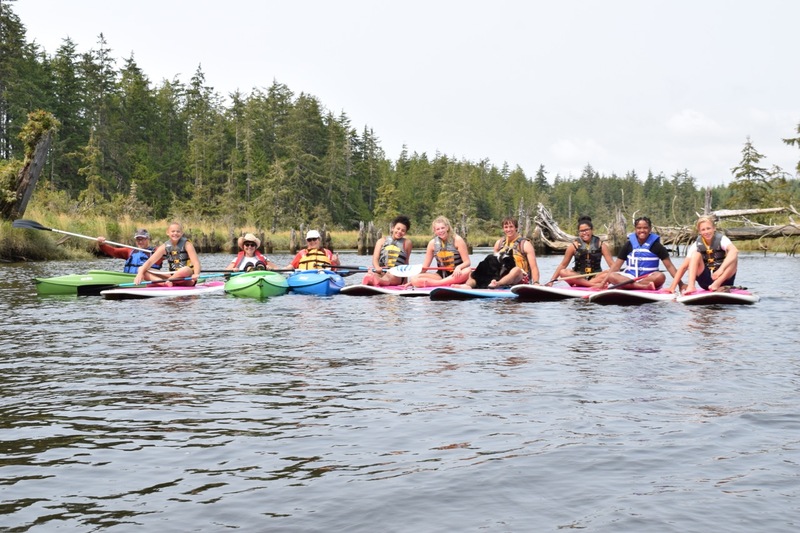 Locals and tourists alike will marvel at the beauty and history found while taking this tour up the Copalis River, showing yet another chapter in the region’s rich history.